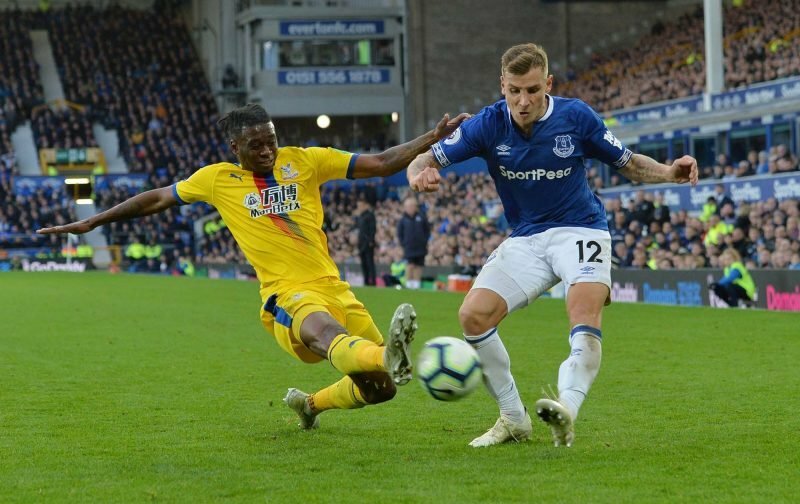 Is Digne latest top Everton left-back? There was a time when fullbacks tended to be defenders first, second and well, all the time. A lot of their time was spent trying to kick lumps out of tricky wingers like Sir Stanley Matthews. There was about as much chance of seeing a unicorn as there would be a fullback curling home a free-kick like Lucas Digne did on Monday to give Everton a 2-2 draw against Watford. That was Digne’s first goal for Everton and it looks like he has dislodged Leighton Baines from that spot. Digne has some way to go before he can be considered Baine’s equal, but the Frenchman looks like he is on the right path. Baines has the most assists (45) of any Premier League defender. He has scored 38 goals in the Premier League so Digne has a way to catch up. Digne leads the league with 128 crosses, but he doesn’t have any assists, which only highlights Everton’s need for another striker. Digne isn’t at Baines’ level as a defender, either. Defending used to be a fullback’s primary duty, so they didn’t have to be light on their feet and quick enough to burst down the line and whip crosses in. Then came Ray Wilson and George Cohen, but since this story is about left backs the spotlight will be on Wilson. When England won the World Cup in 1966, Wilson (and Cohen) allowed Alf Ramsey to play without out-and-out wingers. Ramsey’s team were called “Wingless Wonders” by some journalists as orthodox wingers were still part of most teams’ line-up. Wilson, who also was a very good defender, was quick and used that speed to provide width down the left flank. Wilson joined Huddersfield in 1955 and joined Everton in 1964. !966 was a magic year for Wilson and English football in general. Wilson played every minute in Ramsey’s World Cup winning squad. It was Wilson’s second visit to Wembley that season as he picked up a winner’s medal as a member of the Everton team that came from two goals down to beat Sheffield Wednesday, 3-2. Everton legend Joe Royle played with Wilson and knew he was watching a special player. Wilson left Everton in 1968 after a knee injury. After Wilson, Everton had a host of dependable if not outstanding players at left back like Sandy Brown, Keith Newton and Mike Pejic. Andy Hinchcliffe joined Everton in 1990 from Manchester City and won the FA Cup in 1995 as well as seven England caps. He was excellent from set pieces and provided a number of assists for Duncan Ferguson. Hinchcliffe set the stage for Baines, a boyhood Evertonian, who joined Everton in 2007 after a string of mostly forgettable left-backs.